A leaked photo of the Motorola Moto X that was allegedly taken on the factory floor, reveals that there will be a dual-SIM variation of the phone. The image shows a black front and back plate for the device, which is believed to be the color of the standardized version that will be available from carriers' retail locations. Those ordering online will be able to choose the color of the back cover of the phone along with the trim. In addition, those ordering online will be able to add an engraving on the back of the device. Dual-SIM models are usually not seen in the U.S. and are more often used overseas where it allows the same phone to be used for two different lines. The Motorola Moto X front plate shows two SIM slots labeled SIM 1 and SIM 2. Also leaked is a picture purportedly showing off the back plate of the Motorola Moto X in three different colors. Note how the placement of the speaker on those three cases is on the opposite side of than where the speaker is located on the dual SIM model. That could indicate that there will be some physical changes between the two variations of the phone, besides the second SIM tray. 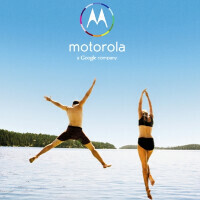 With no Motorola media event scheduled for this week, you can expect to see more speculation about the Motorola Moto X and the Motorola DROID Ultra models. Good, asian countries like dual sim phones. Does that frame also suggest that the X (or at least the dual SIM version) has no microSD slot? Motorola typically puts them on the side of the phone.